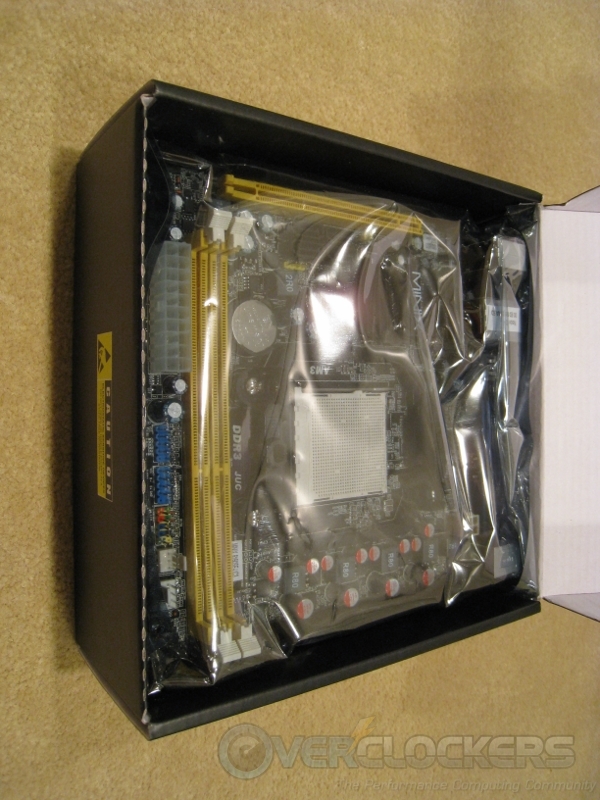 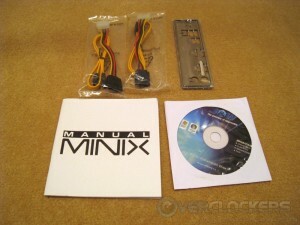 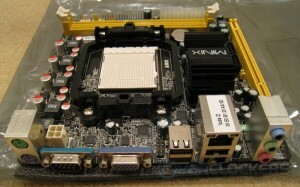 Mvix is devoted to the HTPC market and they provided us with another mini-ITX motherboard to test, the 6150SE-UC3. 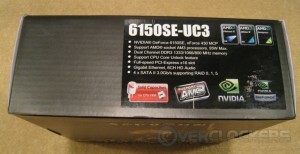 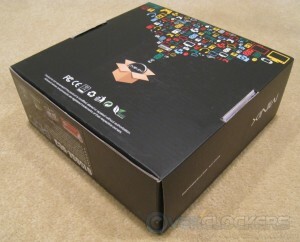 It is based on an older nForce4 chipset but still supports AM3 processors and DDR3 RAM so it can’t be that bad, right? 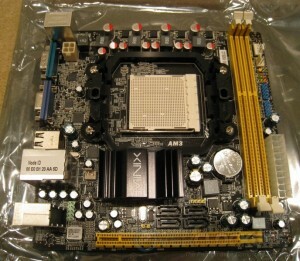 When compared with the 890GX I reviewed a short while ago, this board really shows it’s age. 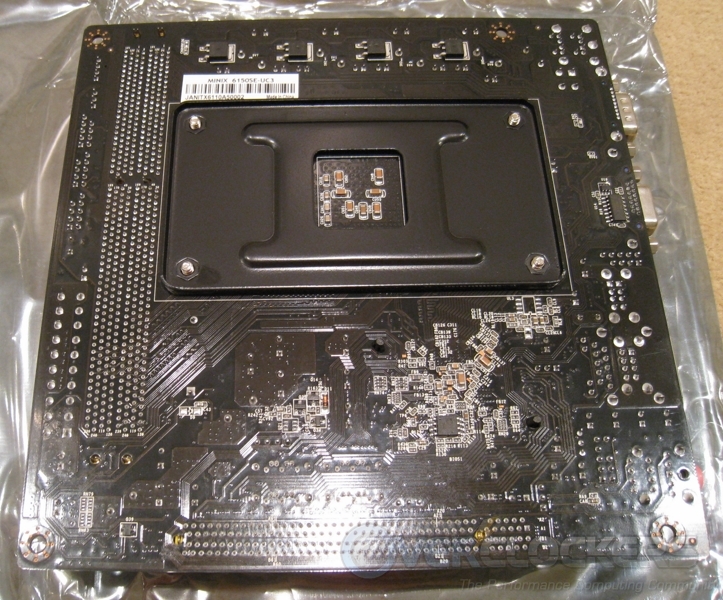 It does not have DVI or HDMI out (or DisplayPort, for that matter) which are staple HTPC video outputs. 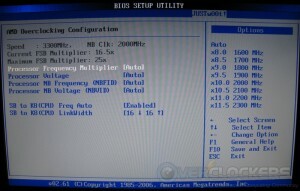 Optical audio out, USB3 and SATA3 (SATA 6 GB/s) are also missing. 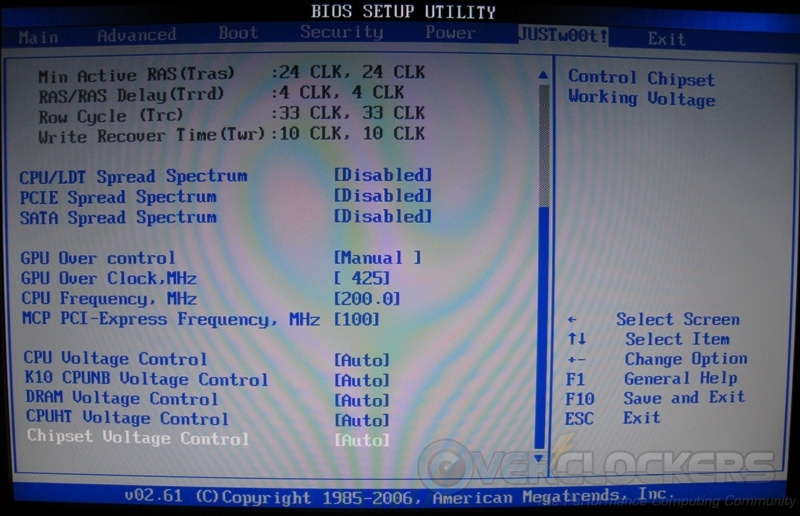 On the other hand, it does have two PS/2 ports for keyboard and mouse, and a serial port. 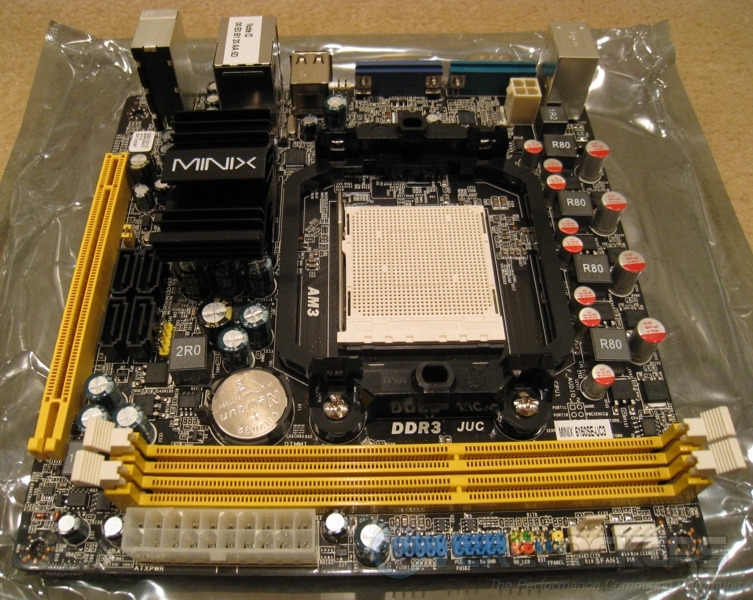 What makes it remotely relevant to the market today, though, is that it supports modern AM3 processors, 16x PCI-e, and regular desktop DDR3 RAM. 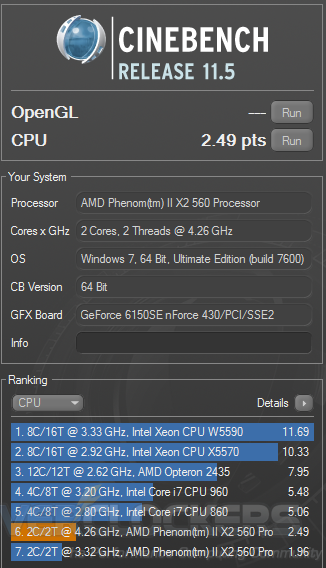 All this makes sense to me if this board can overclock decently and it can be had for a reasonable price. 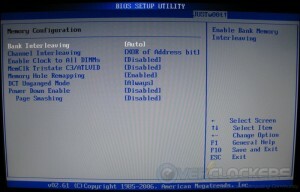 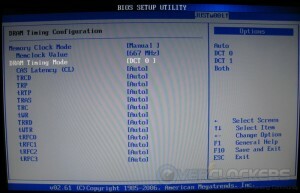 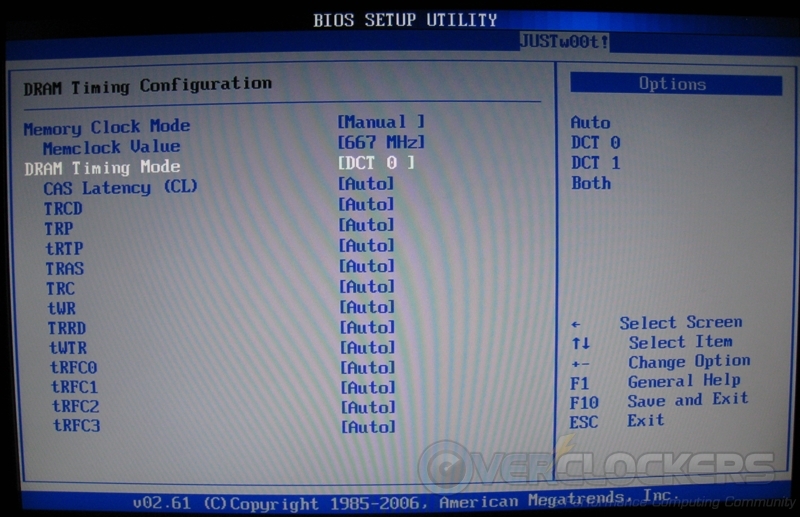 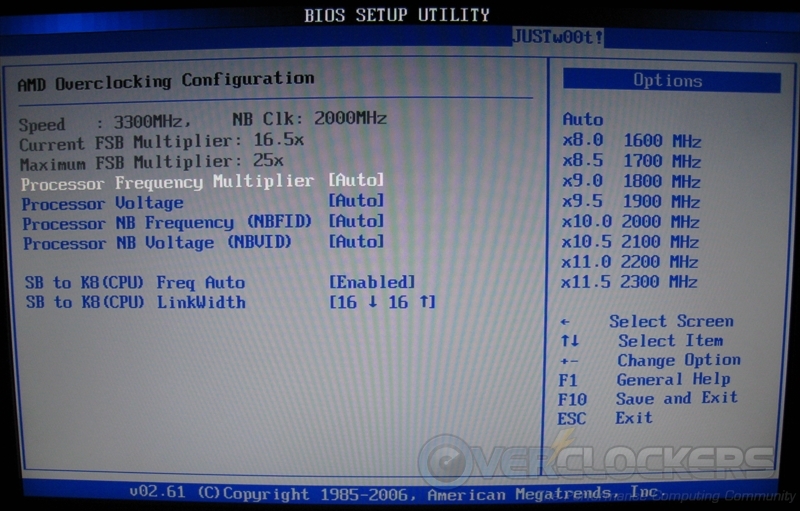 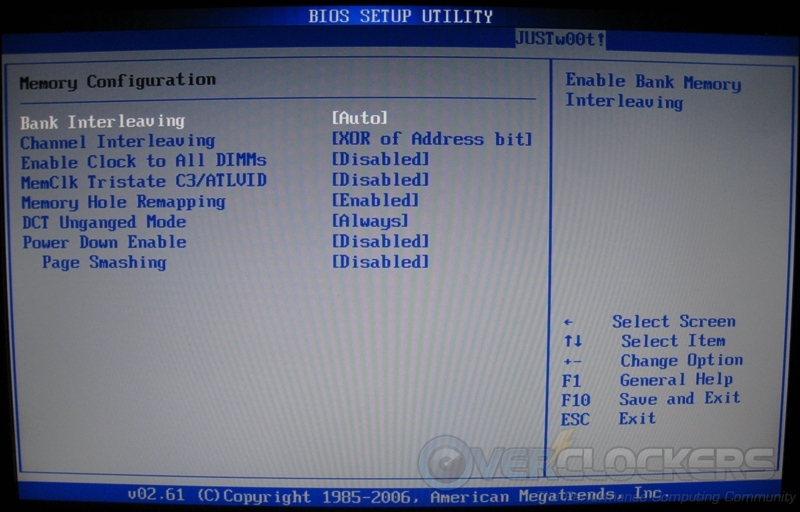 The BIOS includes all the normal functions you’d expect, such as being able to turn off Cool’n’Quiet/C1E, set the boot order, and set the fan speeds. 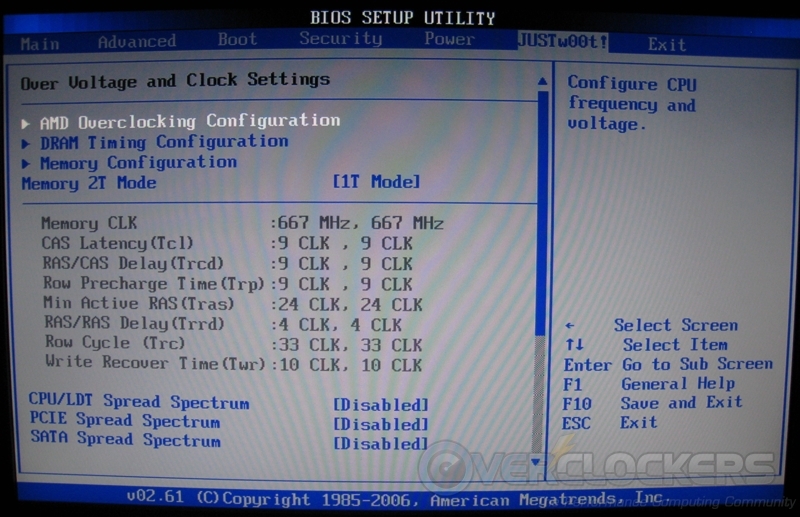 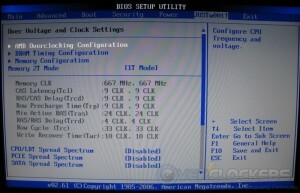 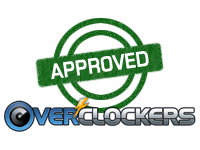 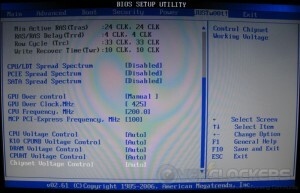 It also includes the “JUSTw00t” page with overclocking functions. 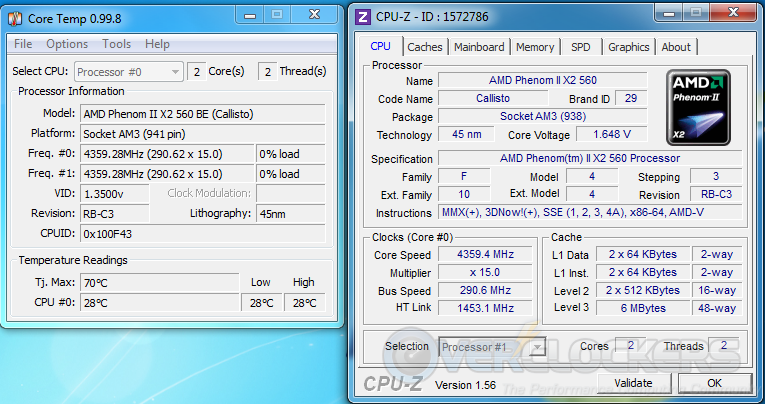 I completely expected the bus speed to be locked like it was on the 890GX. To my surprise it was not, so I had free reign over the CPU and RAM speeds which worked out pretty well in my favor since I hit a maximum bus speed of 290 MHz. This let me crank my 560 BE CPU up to 4360 MHz, which was a new high for me on this processor. 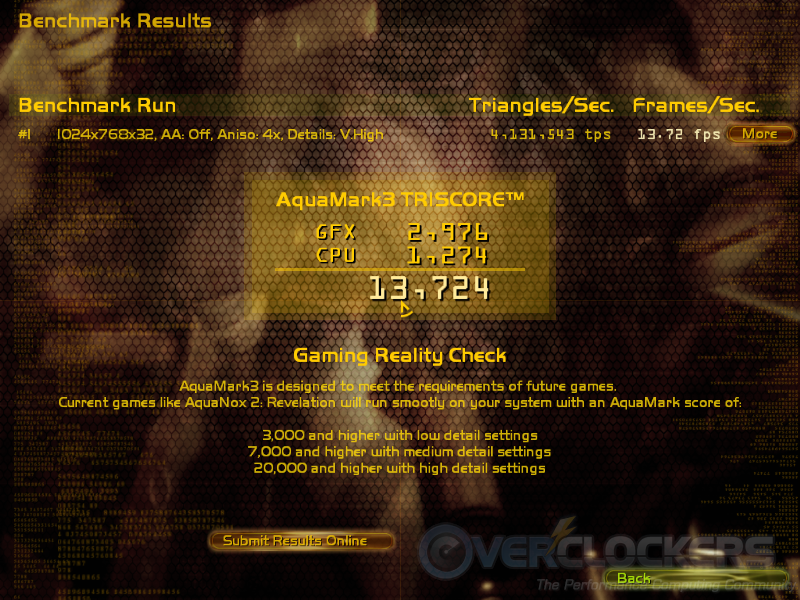 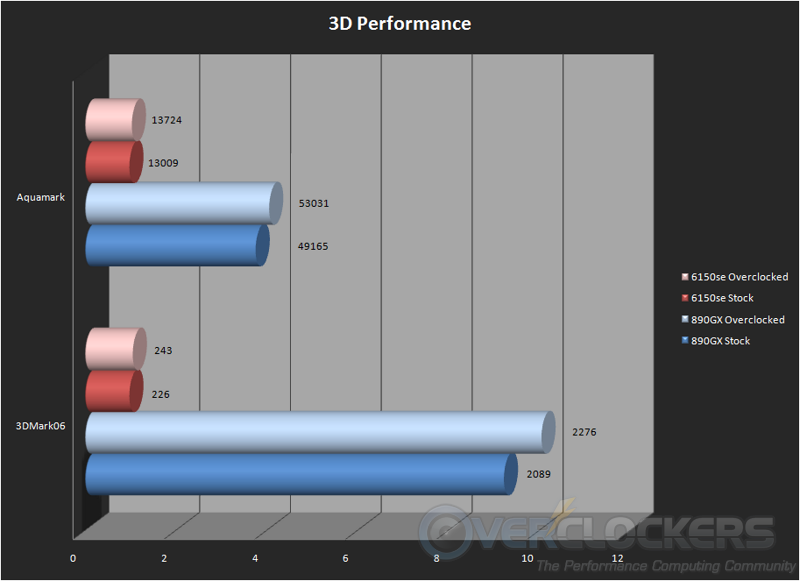 Needless to say, the antiquated nForce 6150SE GPU embedded on the motherboard is less than stellar. It fares better than the Intel G31 embedded graphics but is nowhere near the Radeon HD 4290 graphics embedded in the 890GX. 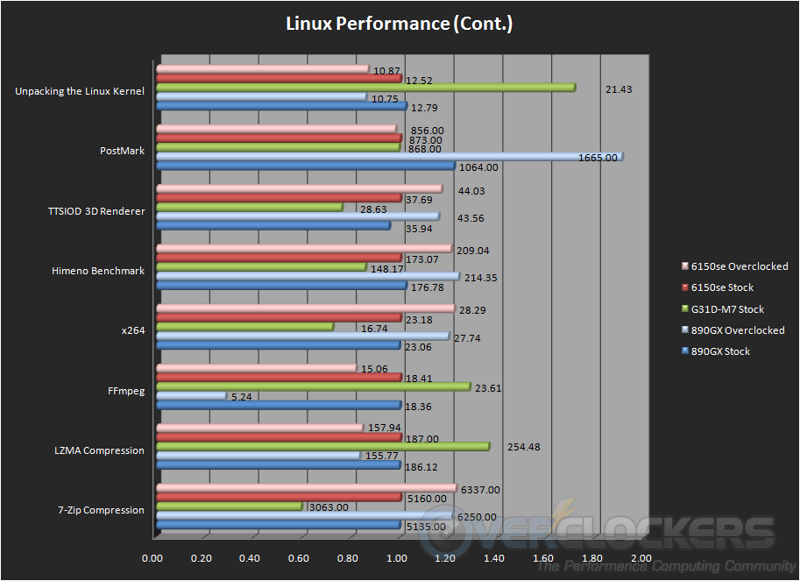 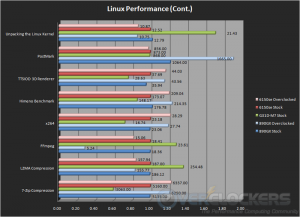 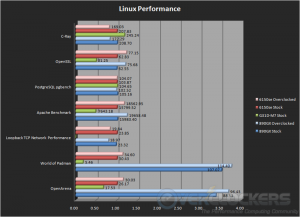 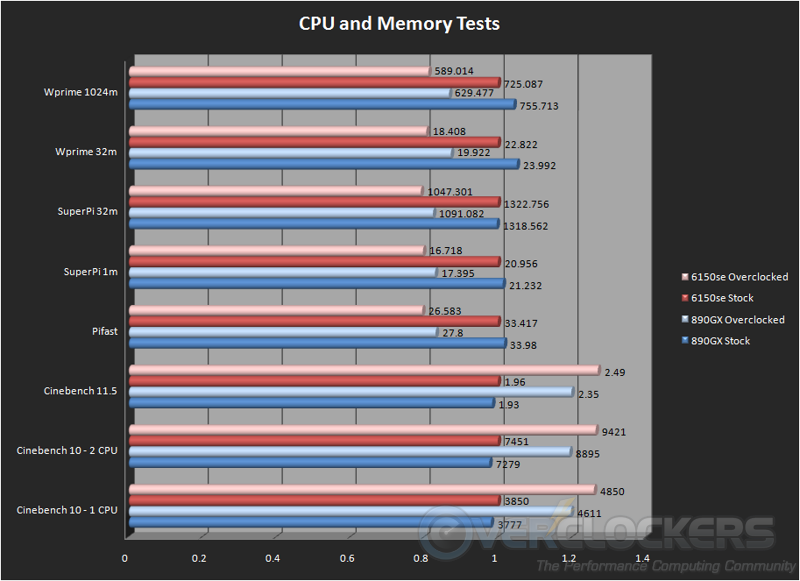 In Windows, the 6150SE-UC3 oddly has a slight edge over the 890GX in memory tests. 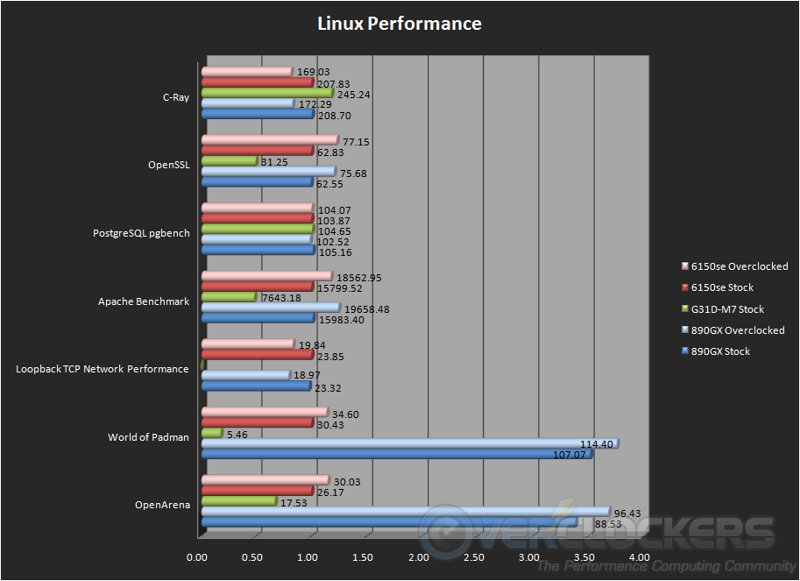 In the Linux tests, things are much closer between the two, but the 890GX shines in the PostMark test that tests disk transactions. 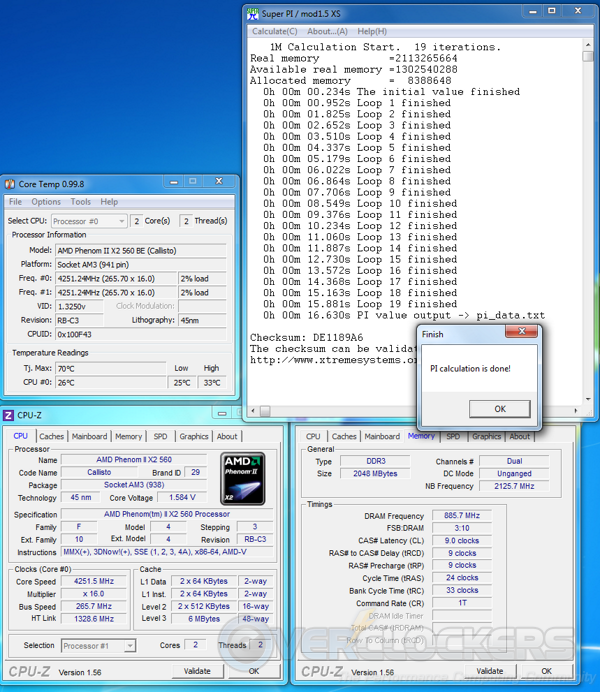 For overclocking, I was able to hit a higher maximum and I was able to run at a higher stable clock on the 6150SE (16×265, 4250 MHz) than I could on the 890GX (4 GHz). 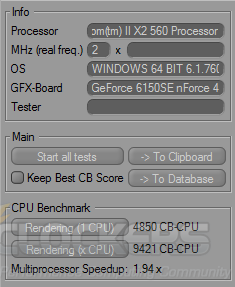 Oddly though, when I tried to run the Linux tests, I had to drop the 6150SE back to the same overclocking settings as the 890GX (4 GHz) because of stability issues. 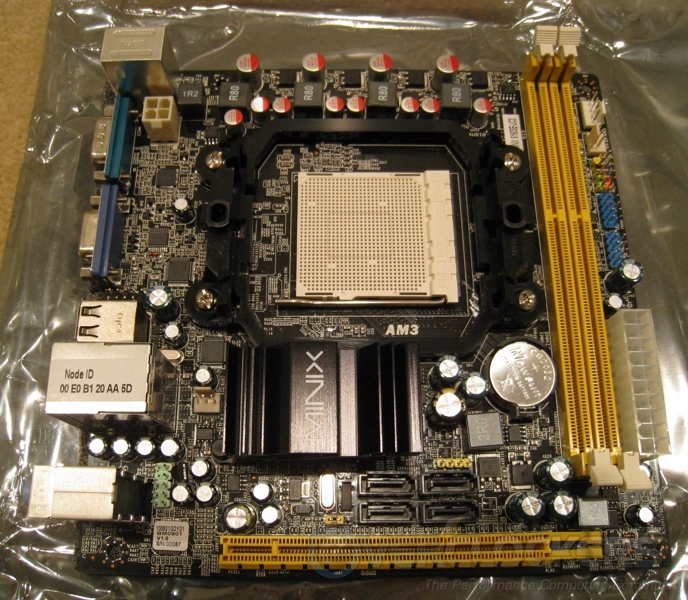 Surprisingly, this little mini-ITX board is still an overclocking contender even though the chipset is 6 years old. 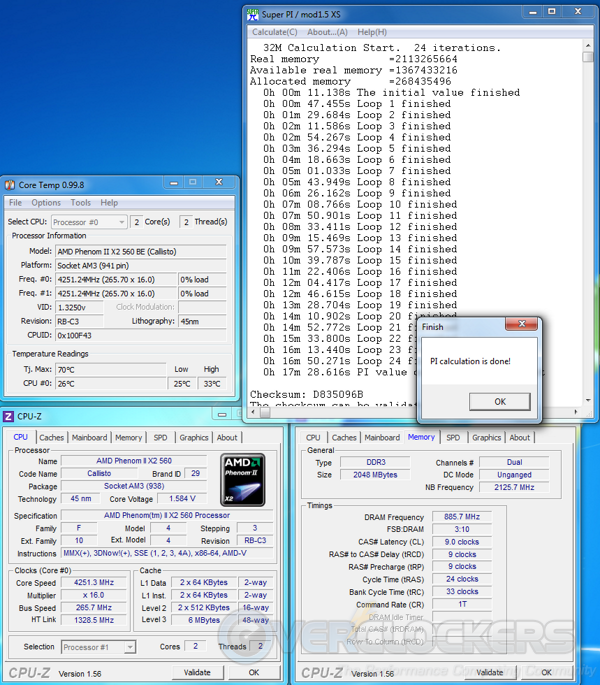 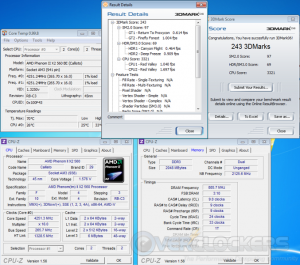 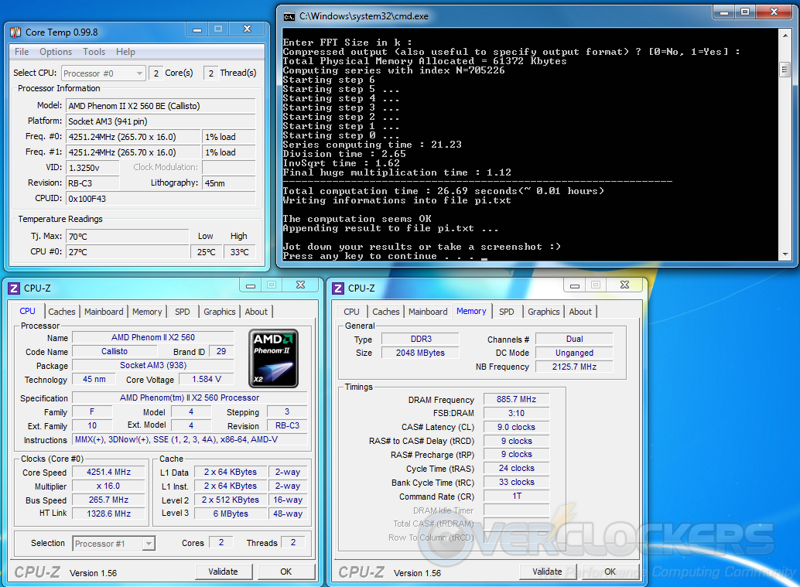 The ability to hit 290 MHz bus speed beat any board I have used this Phenom II 560 BE processor on (285 MHz was the previous maximum). 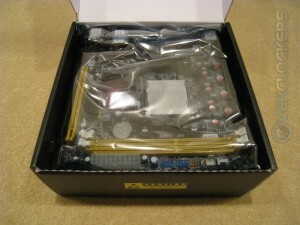 If you plan on viewing HD movies or playing games you will certainly need to throw a discrete graphics card in the PCIe slot, which will give you the power as well as the connectors you want on a good HTPC machine. 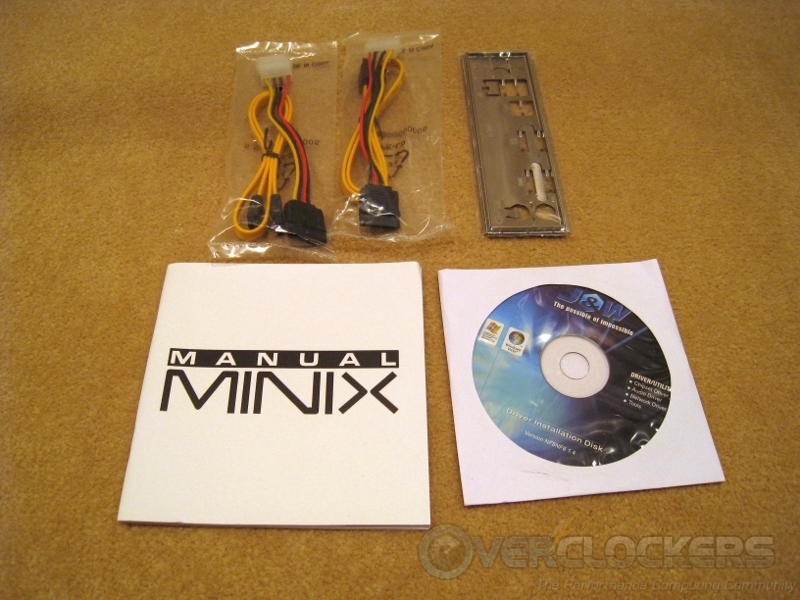 I don’t see this board listed on the official Mvix website yet, but assuming it’s priced below the 780G, then 6150SE-UC3 could be an excellent budget mini-ITX board for your HTPC or small gaming rig. 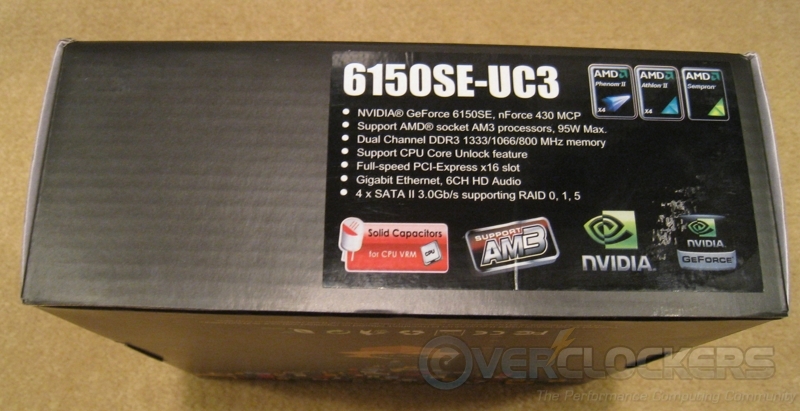 Did you have any issues playing 1080p video on this? 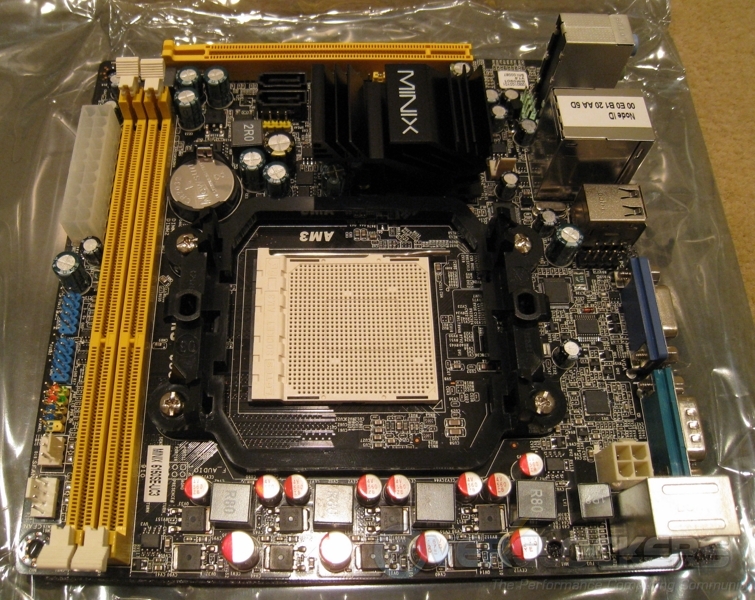 Good Review, i may consider this board for a low power small server, but i noticed in your tests the 890GX board has 4gbs of ram while the 6150se and intel rig had 2gbs, is this still fair? 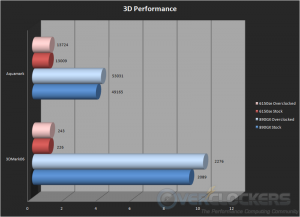 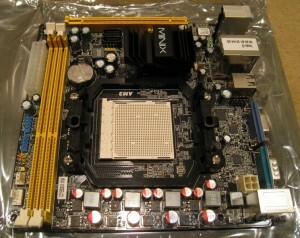 The board support max 95W TDP. 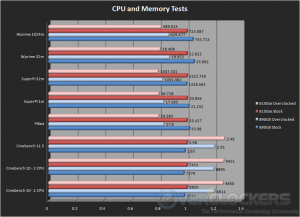 The X2 560 is 80W TDP. 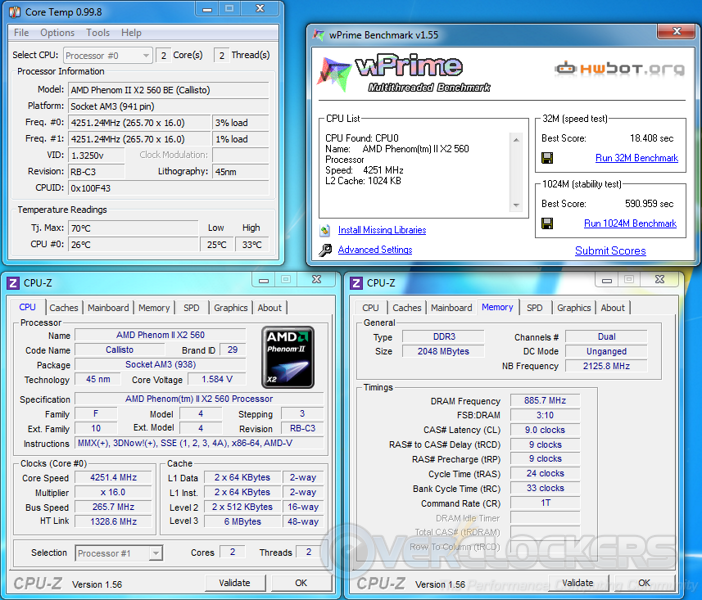 How does the OC to 4.3Ghz affects its TDP rating? 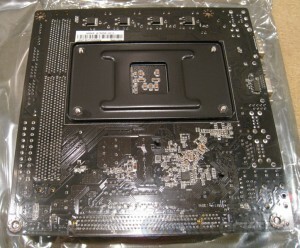 Wouldn't the board explode? 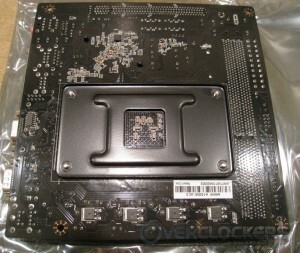 And how is the possibility of unlocking an X2 560 to X4 on this board? And again, how will the increased TDp from unocking affects the board? 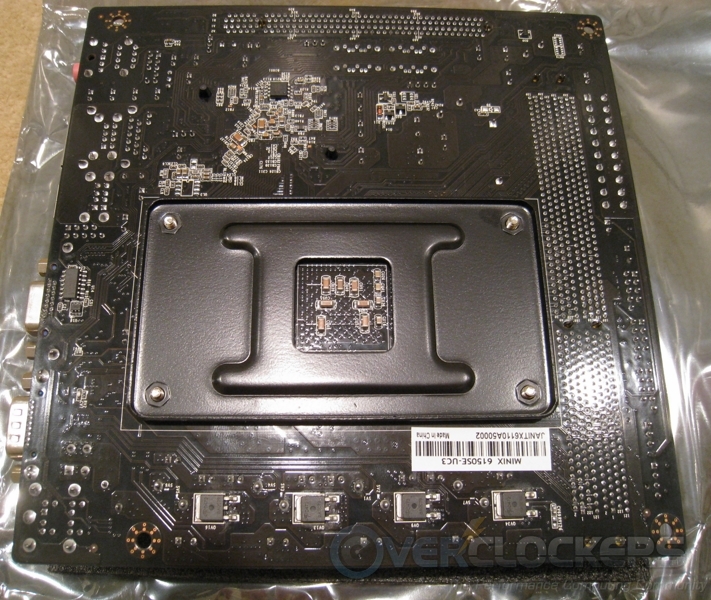 no unlocks, a nvidia chipset means no unlocking and its to old to support it anyway, some boards can run higher than the 95W limit if its stated but some cant, it depends on how much over running/quality of the power circuitry can take.